The company BitDegree A revolution in EdTech, most likely to change the future of work. The way humans have learned has remained practically the same for several hundred years. This has led to universities failing in teaching modern skillsets to students and, hence, in connecting them with the demanding job market. Educational technology is changing this. Swiftly. BitDegree aims to become a pioneer in the ever-growing EdTech market of the world. BitDegree is an e-education platform that aims to garner the spiraling interest in online education for producing a workforce of students, who are holding all the necessary skills to become successful in landing great jobs – an ambition Coursera, Edx, and Udemy have been working on for many years. What makes BitDegree different to the aforementioned EdTech companies is its ingenious blockchain based platform, which will allow the students to ‘learn to earn’, and its gamification of courses. Meanwhile, the gamification of the courses offered by BitDegree is a step in moving away from making studying feel like a chore. By offering to learn via games, BitDegree wants to make studying enjoyable and fun for the students. This, in turn, boosts their motivation and engagement, which eventually helps them in finishing their courses. BitDegree is an ideal platform for students to master skills and for companies to recruit coveted talent. BitDegree provides an opportunity for students to learn valuable and sought-after skills, which would enable them to land top jobs. This is made possible by a range of detailed online courses, given by world-class instructors and having interactive class sessions. The achievements of the students in their courses are constantly tracked via the blockchain platform and the students are rewarded with the BDG tokens. With gamification in the core of its courses, students become more inclined to learn and to complete the courses, without becoming bored with them. From the recruiting perspective, companies can use the platform to discover skilled and proficient employees. Companies can also set up their own courses and tests on the platform, which will allow them to automatically hire from the student pool, by filtering for students who have passed from their prescribed courses. This will make the whole process of hiring very smooth and give the business a boost by recruiting students who possess the precisely required skills. Currently, BitDegree offers courses in as many as thirteen different categories. These include business, the blockchain, data science, e-commerce, web development, machine learning and more. Courses added on the platform teach the student’s skills which are in-demand as of now and are stripped of unnecessary bits, which the traditional education systems are notorious for teaching. Therefore, students learn exactly what they signed up for and gain the latest skills to succeed in the job market. As mentioned in the earlier sections, the courses offered by BitDegree Foundation offer a gamified learning experience, to allow the students to gain knowledge as they have fun. This is made possible by the in-house Octalysis gamification framework. Many of the courses on offer are completely free, while others come with minimal fees. With BDG token scholarships soon to be announced, students will be able to get paid courses using them. All the courses come with details on the skill level required to start, a summary describing the course and a curriculum listing the lectures in order of appearance. Despite being launched in 2018, BitDegree is already starting to position itself amongst educational giants. After having become the winner of EdTechX’s Startup Super League, the company is now receiving offers of collaboration from universities and top educators around the world. At the moment, the company has partnered with a handful of heavyweight brands, including CodeAcademy, Enterprise Ethereum Alliance, The Bitcoin Foundation, Preply, Nexchange, SinglarityNET, etc. The company’s internal community of fans and students has collectively reached the 100,000 marks (approx.). The growing social presence on Facebook, Twitter, Youtube, and Reddit is a reflection of the public’s approval of BitDegree’s innovative platform. The education system of the modern world is still stuck in the past. BitDegree, along with its partners, is aiming to propel the education space forward by harnessing the power of technology. 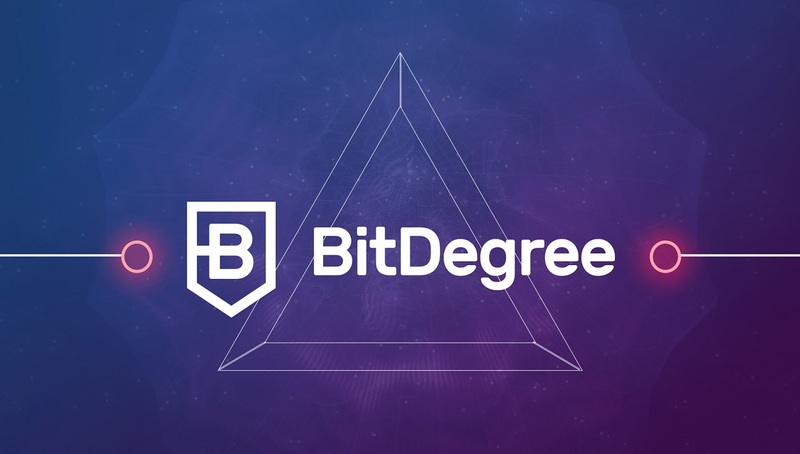 By offering a decentralized and an easily accessible platform, with courses in a variety of subjects, BitDegree is on the verge of becoming the single best way of acquiring skills and becoming ready for the future.